Dr. Duggan is the Director of Dr. Duggan & Associates. He received his undergraduate degree from the University of Notre Dame in 1981. Following graduation, he attended the State University of New York at Buffalo where he received his Masters degree in 1984 and his Doctorate in Psychology in 1987. He completed his internship at the Los Angles County/University of Southern California Medical Center. Upon completion of his internship he was offered a position as part of the Medical Psychology team at Memorial Medical Center of Long Beach. From 1987–1991 Dr. Duggan was steadily promoted until he became the Clinical Supervisor over all the Adolescent and Adult Chemical Dependency and Psychiatric Units at Memorial Medical Center. In the Summer of 1991, he opened Dr. Duggan & Associates. The group has grown from three therapists to it current staff of 16 therapists with four locations. Dr. Duggan has also been involved in politics over the years. In 1994 he was elected to the Los Alamitos Board of Education and was selected to be President of the Board in 1997. In 1998 he was honored to have been chosen Man of the Year in Seal Beach, California. Dr. Duggan is a public speaker who has written numerous articles for local papers and has appeared on both local and national television shows. He has been a frequent guest of radio host Bill Carroll on KFI and is the author of Breaking the Adolescent Code. Throughout his career Dr. Duggan has maintained that one aspect of a healthy life is to maintain balance through involvement with community, hobbies, athletics, etc. To this end, Dr. Duggan has played ice hockey since the age of 5, skating for the Los Angeles Jets from 1988 - 1990. He still plays at the amateur level two times per week and continues to coach his son who also plays hockey. Dr. Duggan is very proud of the team of professionals he has developed. He believes they are the best team of therapists he has ever worked with and invites you to peruse their bios on this website. Dr. Zehler is a board certified clinical Neuropsychologist and licensed clinical psychologist who specializes in diagnosis and treatment of the full range of neurological conditions in pediatric, adolescent and adult clients. Dr. Zehler received his training in neuropsychology at Hahnemann Graduate School in Philadelphia and completed a postdoctoral fellowship at Hahnemann University Hospital. He is board certified through the American Board of Professional Psychology and is also a Qualified Medical Examiner for the State of California. He was previously the Director of Medical Psychology at Memorial Medical Center and currently serves as consulting Neuropsychologist for the Neuro-Rehabilitation unit at Memorial. Dr. Zehler maintains a full time practice with Dr. Duggan and Associates. Rodric Rhodes, Ph.D., LCSW received his Master of Social Work degree with an emphasis in children, youth, and families, from California State University, Long Beach. Dr. Rhodes received his Ph.D. in Clinical Psychology from California Graduate Institute (currently The Chicago School of Professional Psychology). Dr. Rhodes is dually licensed within California as a clinical psychologist and clinical social worker. The majority of Dr. Rhodes' clinical training and post-graduate experience has focused on working with children, adolescents, and families. Dr. Rhodes has particular expertise in the evaluation and treatment of children and adolescents. He works collaboratively with families, schools, physicians, and other resource providers in providing comprehensive support to children and adolescents. He is experienced in evaluating and treating a variety of childhood behavioral, emotional, and neurological disorders, such as ADHD, depression and other mood disorders, anxiety disorders, adjustment to life changes (divorce, death, traumatic experiences), substance abuse, and Autistic Spectrum Disorders. Dr. Rhodes also enjoys working with adults. 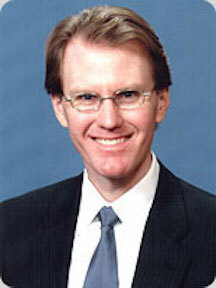 Dr. Rhodes is in independent private practice in Whittier, CA, is the Director of the A.D.D. Center also in Whittier, and is a partner within our group private practice, Dr. Duggan and Associates, in Long Beach, CA. In addition to his general practice, Dr. Rhodes specializes in the evaluation and treatment of children, adolescents, and adults with Autistic Spectrum Disorders, including Asperger's and Autistic Disorders, and other developmental disabilities. Following diagnosis, Dr. Rhodes utilizes a combination of non-directive play therapy and behavioral strategies with younger children and cognitive-behavioral, social skills, and humanistic strategies with adolescents and adults. He has extensive experience interfacing with, and assisting people to access, various generic resources such as school districts, Regional Centers, Social Security, In-Home Supportive Services, and other treatment providers (such as social skills groups, residential, and vocational services). The research Dr. Rhodes completed in his graduate training focused on the needs and support of parents and caregivers of children with Autistic Spectrum Disorders. In addition to his work with the individual with an Autistic Spectrum Disorder, Dr. Rhodes specializes in the support of all family members. He frequently provides consultation to other treatment and educational providers regarding the diagnosis, treatment intervention, and possible referrals for such disorders, and has presented at conferences, to various groups (Autism Society of America), and mental health and other treatment agencies. Linda believes that finding new ways to look at and think about ourselves, our lives and the world is an integral part of the therapeutic process. Often the concerns which bring us into therapy reflect our attempts to adapt to and deal with the painful challenges and transitions of life. Building awareness of our characteristic ways of being in the world results in the freedom to choose a new way to be. Linda received a Bachelor’s Degree in Academic Psychology from the University of Tennessee and has also received Master’s degrees in both Counseling and in Marriage and Family therapy. She is a licensed Marriage and Family therapist in the state of California. She has also worked in the corporate sector and was Vice President of an international sports entertainment and marketing organization. In addition to her work as a therapist, Linda is also currently writing and consulting for an educational toy company on a product to promote character development in the schools. Linda is experienced in working with children, adolescents, adults and families and has worked extensively with a broad range of clinical issues including depression, relationship issues, stress and anger management, grief and loss, anxiety, trauma and ADHD. She has received training in play therapy and utilizes these techniques with children to develop their abilities to self regulate their emotions and behavior, increase their feelings of self efficacy, and to build coping skills. She also enjoys working with parents to assist them in responding to challenging behaviors and improving family communication skills. Transitions and changes can be both stressful and exciting. With adolescents and adults, Linda enjoys assisting clients in developing a vision of who they are and who they want to be in the world and using that framework to evaluate choices, plans and relationships. She believes that each person already possesses the capacity to cope with life and that the role of therapy is to help them seek out and utilize their own strengths. Michael Sherman, MFT, joined Dr. Duggan & Associates in 2000. He provides individual, family, and couples counseling across a broad range of issues. Prior to entering the mental health profession in 1995, Michael worked for 20 years in sales and marketing in the computer, incentive marketing, and food service industries, including 10 years in private ownership of his own company. He is able to put this unique combination of experience to especially effective therapeutic use. In addition to his private practice, Michael has worked in a variety of clinical settings to include youth shelters, adolescent treatment centers, and private sector Employee Assistance Program settings for the US Postal Service, the banking industry and the hospital industry. Michael has multifaceted clinical experience working successfully with clients of different age, gender, religion, culture, personality, and lifestyle. His clinical approach is based on Solution-Focused Short-Term Therapy. He strongly believes that each client comes to therapy equipped with the inherent strengths and abilities necessary to uncover and implement the steps required to resolve the difficulties facing them. Michael sees his role in the process as being one of assisting his clients in heightening their awareness of, and access to, those strengths. He helps his clients become aware of all the possibilities for change, and then collaborates with them in the creation of alternative solutions. You will often hear him say, "Do more of what's working, less of what's not; If it's not broken, don't fix it!". Michael holds an MA degree in Counseling Psychology from National University and an MA degree in Public Administration from UCLA. His specialized training includes a Certificate in Short-Term Therapies from the Phillips Graduate Institute. Dr. Holly Ihle is a Clinical Psychologist whose practice is located in Long Beach, CA. She has 28 years of experience in the field. Dr. Ihle obtained her Bachelors’ degree from California State University, Northridge. She earned her Masters’ and Ph.D. degrees from California School of Professional Psychology. Early in her career she worked and acquired skills consulting with and training treatment staff in a locked, inpatient psychiatric hospital. There she also honed her skills in assessing and treating patients with severe mental disorders and young adults with destructive behavioral problems. Later, Dr. Ihle served as Staff Psychologist and Drug Abuse Programs Treatment Coordinator within a Federal Correctional setting. She also provided treatment and support to adults with chronic medical concerns, including various mentally and physically handicapped individuals, and those with autoimmune diseases and patients with HIV/AIDS. Dr. Ihle adjunctively served as an examiner, and later assisted in writing examination items for the California Board of Psychology/Dept. of Consumer Affairs in the licensing of psychologists. Since 2009, Dr. Ihle has worked in the private practice setting. She is skilled in developing a warm rapport with her clients and creates a safe arena for change. Areas of interest and specialty include working with individuals who are facing major life changes, those who suffer from anxiety and depression, recovery from substance abuse, social skills and relationship problems. Dr. Ihle is sensitive to culture and orientation. She treats adolescents (13 – 17 years old), adults, and couples. Dr. Ihle is also trained in EMDR and applies these skills in treatment of patients’ traumatic experiences. Anne Smith, LCSW, strives to bring an effective blend of experience, empathy, clarity, concern and action to the counseling process in order to maximize outcomes and provide genuine healing and wholeness to children, adolescents, adults and families. Anne received her Master of Social Work degree from USC and attended the University of Colorado-Boulder for her undergraduate degree in English Literature. Anne is a Licensed Clinical Social Worker in the State of California. She also serves as Adjunct Faculty for field education at the USC School of Social Work. Areas of emphasis include mood disorders, posttraumatic stress disorder, various anxiety disorders, disordered eating, addiction, women’s issues and life transition issues. Anne also has significant experience working with children, adolescents and families who have experienced varying degrees of trauma, various types of physical, emotional and/or sexual abuse, abandonment and/or neglect, divorcing parents and dysfunctional family systems. Anne has over fifteen years of counseling experience and has enjoyed working with a wide range of patients in a variety of treatment settings. These have included providing counseling in a city EAP program, an HIV clinic, school-based therapy for children and families; as well as the private practice setting. Anne also has extensive knowledge of workplace issues and corporate settings; having worked in finance, business development, internet startups, as well as journalism; writing for Forbes Magazine. Anne lives in Long Beach, CA with her husband, two children and enjoys being an active and engaged member of her community. Michael provides a safe atmosphere and brings compassionate attention to life's challenges, just as he does to the highly unique qualities of each person who works with him. Michael helps people discover for themselves their own truths and aids them in picking up the best tools to tackle their distress. Michael received his Bachelor of Science in Applied Psychology in 1989, and received his Master of Science in Counseling with an emphasis in Marriage and Family Therapy in 2011, which included a particular focus in Cognitive Behavioral Therapy. After licensure, Michael obtained additional post-graduate clinical certificates in psychodynamic psychotherapy, psychoanalytic psychotherapy, and child psychoanalytic psychotherapy, to broaden the foundation with which to support his patients. Michael thoughtfully collaborates with his patients to integrate the most effective clinical approaches to support their progress and to best address exactly what is challenging them. Michael also puts to use more than 30 years of related experience, including more than 20 years of professional experience in the federal courts, where he provided recommendations to federal judges, and consulted with prosecutors, defense attorneys and law enforcement officials, as well as additional educational experiences in creative writing and motion picture production to help everyone from creative professionals to everyday adults and kids unfasten their creative potential for a full life. Michael works effectively with people from diverse racial, ethnic, religious, age, lifestyle, and socioeconomic backgrounds. Dr. Ralph Ihle is a Psychologist in the Long Beach, CA area whose practiced has spanned more than 30 years. He obtained his undergraduate degree from the University of California at Los Angeles, CA in 1980 and his doctoral degree from the University of Southern California in 1988. He initially worked in community and college clinics, and a secure mental health forensic facility. He acquired skills consulting with and training program treatment staff and assessing and treating male and female patients with severe mental disorders and young adults with destructive behavior disorders. In later years, Dr. Ihle served as Chief and Forensic Psychologist within a federal agency, providing assessment and treatment for male and female clients with severe mental or emotional conditions, and high risk for suicide and harm to others. He also provided assessment, treatment and support to staff and first responders. For 15 years, Dr. Ihle worked as a community member expert on medical, mental health and social science research ethics boards at the University of California at Los Angeles. Since 2017, Dr. Ihle has worked in the private practice setting. He is skilled in developing a rapport with his clients and creating a safe environment for change. Areas of interest and specialty include working with individuals who are facing major life changes, those who suffer from trauma, anxiety and depression, recovery from substance abuse, social skills and relationship issues. Dr. Ihle is sensitive to culture and gender orientation. He treats adolescents (13 – 17 years old), adults, families, and couples. Dr. Ihle has extensive training and experience in suicide prevention and management of high-risk individuals; hostage negotiation, crisis management, and criminal and civil forensic evaluations. Dr. Marlene Elizalde is a Clinical Psychologist and a Licenced Marriage and Family Therapist. She earned her B.A. in Behavioral Science and Sociology, with a minor in Psychology, from San Jose State University; and her Master's and Doctoral degrees from Alliant International University in Marital and Family Therapy. Her dissertation focused on autism and the family, and the neurologically-typical child's experience of the parent-child relationship in the context of having a sibling diagnosed with autism. Dr. Elizalde's clinical interests include families affected by Autism -- having worked with the autism population for 10 years -- and parent/child relationships; she also enjoys working with adolescents (young children - teens) and young adults. Dr. Elizalde has experience working with children and their families in various capacities, including teaching in an after-school program, working in youth residential treatment, delivering behavior therapy (ABA) services to children with Autism, and providing psychotherapy services. Other professional experience includes teaching graduate level classes for MFT techniques and guest-speaking on qualitative research. Ana has been involved in multiple areas of psychological focus for the past 25 years. She first received her Bachelor of Arts degree in 1991 and furthered her education with a Masters of Sciences in 1999 both from California State Universities. She has been fortunate in being in an array of settings that included the penal system, community psychology, and private practice. Ana has been in community based psychology for the past 8 years; encompassing all that is individual, family and child relational. She has developed an expertise in Child Parent Psychotherapy, a therapy with focus on parent child relational diatribe and treating very young children while also engaging the caregiver/parent. Ana also has extensive training in Interpersonal Psychotherapy for Adolescence and Post-partum Depression. She has been a featured guest on KCET’s Place of our Own and a speaker for Los Angeles Unified School District. Ana spent 15 years working for the Federal Department of Justice in the capacity of Drug Treatment Specialist and collaterally in Speakers Bureau and the Hostage Negotiation Team. She received extensive training in Addiction Recovery, Motivational Interviewing and Rational Behavior Therapy. Ana is a licensed Marriage and Family Therapist who is bilingual and bicultural; having lived the acculturation experience multiple times in her lifetime. She recognizes that life is a challenge and also its own reward. A therapeutic relationship has the potential to provide endless opportunities for growth, insight and support so that there is balance between the challenges and rewards in your life. My approach is weighted towards empowering individuals who may be struggling to make meaning from their lives. Ultimately, helping those who have a desire to embark on the road to feeling better about themselves, and their relationships with others. I am passionate about accompanying individuals on their journey to understand and take ownership of their destructive or dysfunctional behaviors, and accept that they can reconcile their thoughts, and/or feelings. You do not have to travel this road feeling all alone; you can choose to correct your course and make a first step in a new direction seeking help in an atmosphere that is safe, non-judgemental, and foremost, confidential and private. My treatment modalities consist of counseling for individuals; adults, teens, and families. I specialize in treating maladaptive thought processes and cognitive distortions, however, my services are available to anyone wishing to gain a better understanding of their world, and their environment whether it be at home, with family, or in other social situations. I understand firsthand that the path to wellness and healing in our life is a process fraught with challenges and difficulties. My own experience with depression, cognitive distortions, and anxiety provide me with an insight into the incidious cycles that we can find ourselves feeling trapped within. I welcome the opportunity to offer you guidance and support while on your journey to wellness. Make the decision to feel better starting today. If you are committed to doing the necessary work in therapy, positive change will come. The key to lasting change is commitment. I look forward to meeting you! Jennifer Contreras is a Licensed Marriage and Family Therapist. She received both her B.A. in Psychology with a minor in Sociology, and her M.S. in Marriage and Family Therapy from California State University, Dominguez Hills. Jennifer has a long history of working with children and adolescents. While pursuing her college degrees, she worked with children as both a preschool teacher and a nanny. Jennifer began her career as a therapist at a middle school in Huntington Beach. She also spent several years working at a community based mental health center in Pomona, California providing therapeutic services to children, adolescents, parents, and families from diverse ethnicities and socioeconomic circumstances. She worked with a multidisciplinary team including psychiatrists, social workers, case workers and school staff in order to provide individualized treatment and support. In addition to providing therapy services in a clinical setting, she has also provided therapy in home and school settings. Jennifer has provided effective therapy for many families dealing with anxiety, depression, self-harm, divorce, abuse, behavior issues, parent-child conflict, and phase of life struggles. She not only advocates for children and adolescents, but for parents as she believes that when a parent feels supported, the whole family benefits. Besides being a therapist, Jennifer is a mother to two small girls. In her free time, she enjoys traveling with her husband and daughters all over the world. Joanna Rogers is a licensed Marriage and Family Therapist. Her style is warm, down-to-earth, and creative. She provides a welcoming and safe environment for her patients to express themselves. Joanna has a passion for working with patients who are seeking a meaningful life and see value in deepening their self-awareness. She has experience helping children, adolescents, and adults overcome obstacles such as substance abuse, anxiety, trauma, depression, grief and loss, difficult life transitions, relationship dysfunction, parent-child issues, and ADHD. Joanna takes an integrative approach to treating clients, recognizing the individual needs of each person. She has been trained in a variety of treatment modalities, including cognitive behavioral, dialectical behavioral, psychodynamic, guided imagery, expressive arts, and solution focused therapy. Joanna received her Master’s Degree in Marriage and Family Therapy from the University of San Francisco. Shortly after earning her Master’s Degree she completed an Integrative Medicine Education program, with specialization in Guided Imagery and Expressive Arts Therapy, at the Institute for Health and Healing in San Francisco. She also has earned a Bachelor’s Degree in both Cultural Anthropology and Art History from the University of California at Santa Barbara. Joanna began her career as a therapist in the acute care setting in a hospital in Northern California, where she worked with both individuals and families. 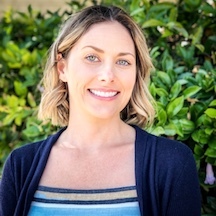 After relocating to Southern California, Joanna has been working as both a therapist and case manager in a residential addiction treatment center for adults, as well as seeing both children and adults for individual therapy in the community mental health setting. She is currently a Licensed Marriage and Family Therapist. Born and raised in Southern California, Veronica graduated from Cal State University, Long Beach in 2000 with a Bachelor or Arts in Liberal Studies and an emphasis in Health, Physical Education and Life Management. She immediately started her career as a teacher in a local private school. Working with adolescents quickly became her passion and motivated her to pursue a career that would allow her to care for children and their families on a more personal level. After beginning her graduate studies, Veronica transitioned from teacher to school counselor in a junior high setting and graduated in 2006 with a Master of Arts in Counseling Psychology. Veronica then landed a position in a clinical setting where she could earn her hours toward licensure. Working in an intensive outpatient setting in Los Angeles County helped Veronica develop the skills necessary to treat families with intense trauma, and a multitude of environmental stressors such as poor living conditions and limited access to basic needs. Working her way up to lead clinician, Veronica also began mentoring other mental health professionals. After earning her license as a Marriage and Family Therapist in 2014, Veronica started her career in private practice working one day a week while also starting a new position as the Program Coordinator for community service programs who serves the mental health needs of all of Orange County. Veronica coordinated mental health treatment for 4-21 year old clients, while also taking on a small caseload herself. She supervised Bachelor level Mental Health Professionals and Marriage and Family Therapist Interns and did extensive community outreach in schools on Mental Health Awareness. Veronica added to her family in 2017, and with the addition of her first child she decided to only work Private Practice. Currently, Veronica is utilizing her background in both Education and Psychology, to continue providing therapy to children, adolescents and families. Her personal experience of being a parent for the first time, is also beneficial to assisting individuals who are trying to adjust to the work/life balance, or who are struggling raising their children in today’s society. Sonia took over as Office Manager in the summer of 2014. As Office Manager, it is Sonia’s responsibility to make initial contact with prospective clients. She will ask you some general questions, gather insurance information, and will check benefits for in-network insurance coverage. Sonia’s role is to make your involvement with our office easy and comfortable. She has extensive knowledge and can answer most of your questions about the office. Please feel free to contact her with any questions or concerns. Dr. Duggan and Associates strives to be WCAG compliant, and if you have any issues in accessing the website, please call (562) 433-7652 during normal business hours for assistance. Please note: No goods or services are available from this website. It is for informational purposes only..